and summer, I was stoked I got to wear my jacket one more time! Oh and my witch lace up boots too :). Killer pair of boots and a must have bag! 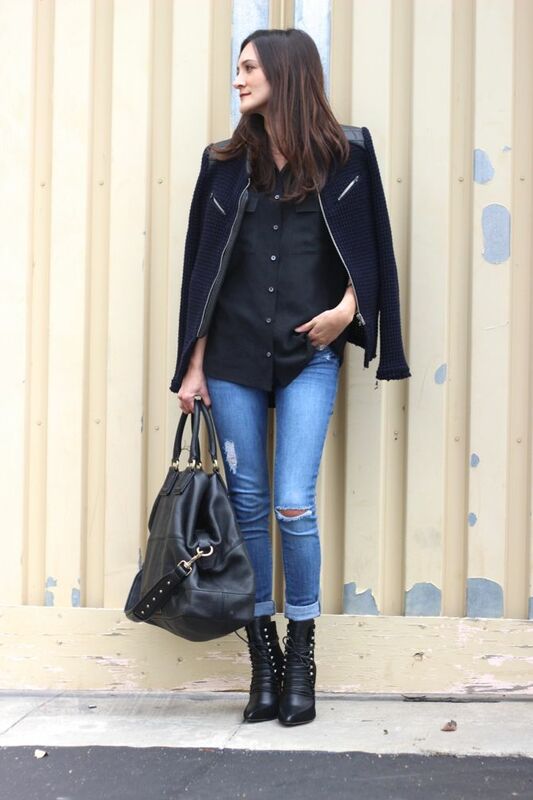 Love how you mixed navy & black-so chic. And a sucker for DL1961 jeans! In this write-up, we will speak anything as well as whatever SnapTube for Windows we can not overlook SnapTube by any means.